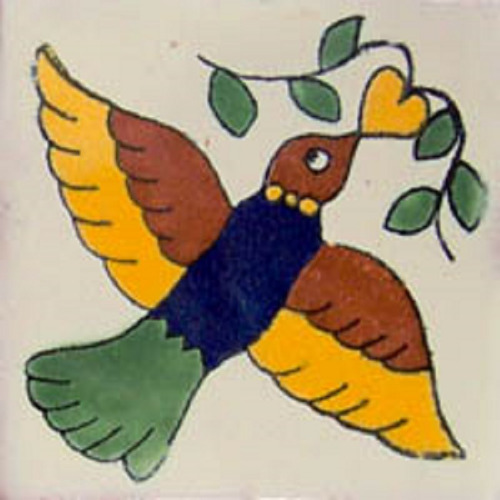 Mexican tiles in "Bird2" style. Colonial with yellow, green and cobalt talavera tile design over white background. Shipping from Mexico to the US and Canada is estimated for four weeks.